The Pentagon is sending 3,750 U.S. forces to the southwest U.S. border with Mexico for three months to provide additional support to customs and border agents, the Department of Defence said on Sunday. The Pentagon is sending 3,750 U.S. forces to the southwest U.S. border with Mexico for three months to provide additional support to border agents, the Department of Defence said on Sunday. The deployment will raise the total number of active-duty forces supporting Customs and Border Protection agents there to approximately 4,350, it said. Trump's demand that money for the wall be included in spending legislation prompted an impasse with Democrats that led to a 35-day partial federal government shutdown that ended on Jan. 25. "I don't take anything off the table," he said in a CBS interview broadcast on Sunday. 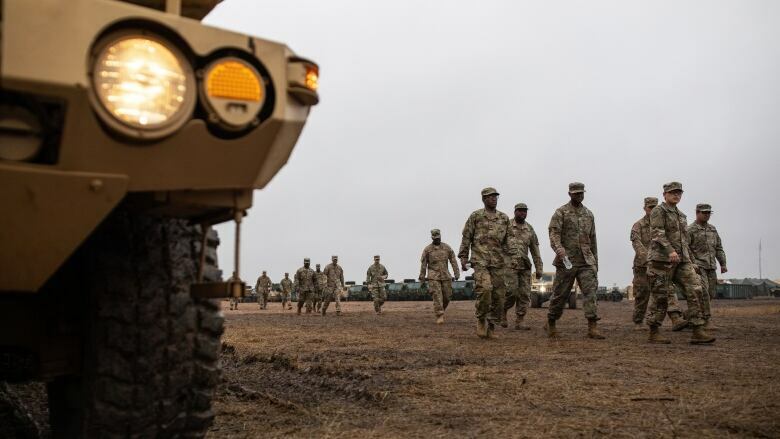 The Pentagon first approved the high-profile deployment of active-duty U.S. troops to the Mexico border in October, before the U.S. midterm congressional elections. The move was embraced by President Donald Trump's supporters, including fellow Republicans in Congress. Critics called the deployment a political stunt and scoffed at Trump's comparisons of caravans of Central American migrants, including women and children, to an "invasion." The Pentagon says the U.S. military will operate mobile surveillance cameras in Arizona, California, New Mexico and Texas, a mission scheduled to run through Sept. 30. 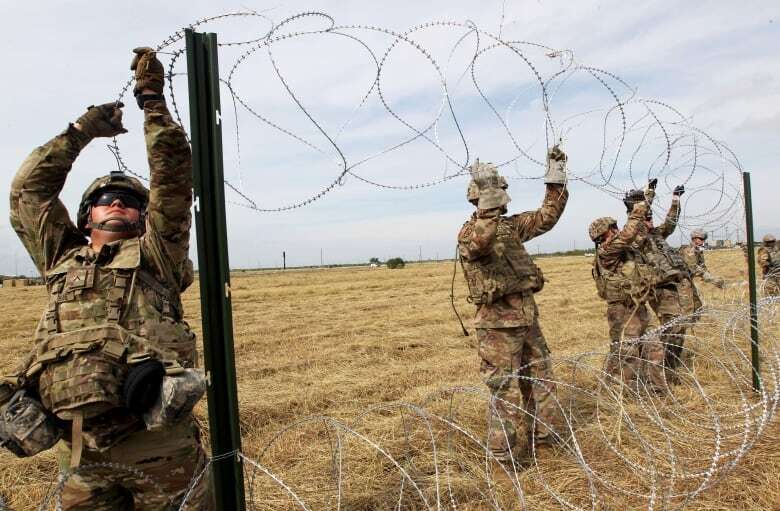 Some of the additional troops will also string up 240 kilometres of concertina wire. Acting Defence Secretary Patrick Shanahan approved the deployment on Jan. 11, according to the statement. U.S. Rep. Adam Smith, chairman of the House of Representatives armed services committee, first disclosed plans to send more troops on Thursday.